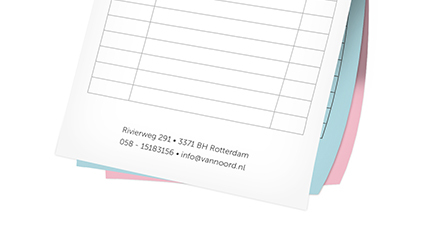 Want to order copy pads? You can at Helloprint! Copy pads enable handwriting to be duplicated onto all layers of a multipart set. 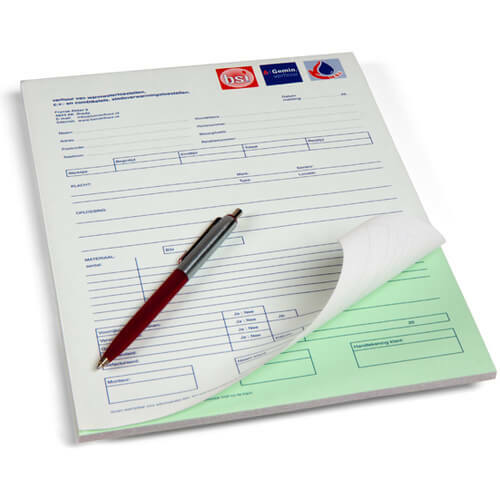 All our handy carbon copy pads can feature your logo and are available in white, pink, blue, green or yellow. 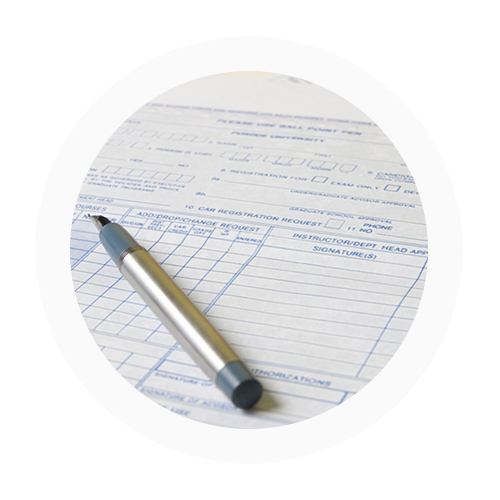 These are very helpful if you want to separate your invoices from your orders, for instance. One set either has one copy sheet (2-part) or two copy sheets (3-part), depending on which option you choose in the next step. 4 Do you want numbered copypads? 5 How many bundles would you like? Recommended 100 Not sure about the quantity? This is the most chosen amount for businesses. 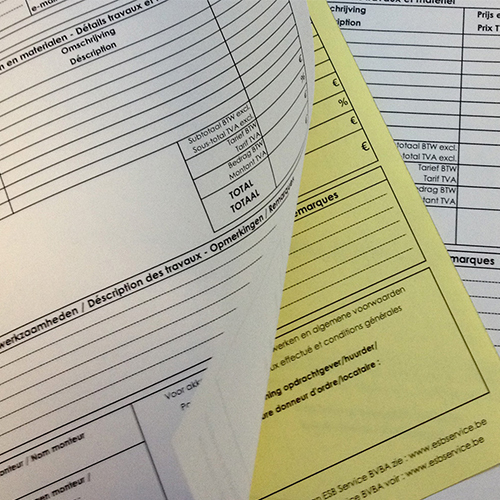 A copypad is collection of paper, with multiple copysheets, glued together on the top. 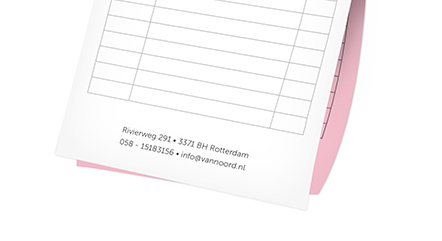 The copypad have 1 white sheet, and 1 or 2 copysheets (depending on your choice). The text which gets written on the white sheet, gets copied on the sheets underneath it. For the delivery of your copy pads we use multiple carriers. Because of the highest reliability, in most cases we use UPS or DPD. 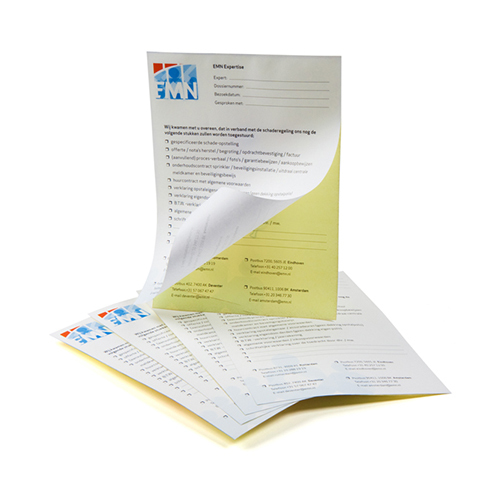 The copy pads that is chosen in most cases can be selected via our website. On which side will the Copy pads by glued together? The Copy pads will be glued together on the top. 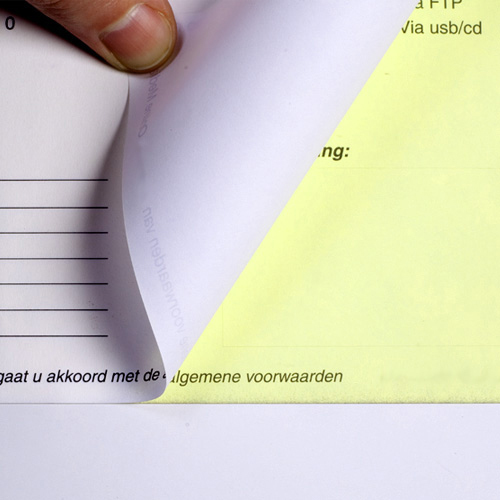 80 gsm offset: This is the most often-used paper for Copy pads. The thin paper makes it easy to tear off. Because of it's structure the Copy pads are perfect to write on.